"I listen carefully to my patients, treating each one as an individual and creating a relationship based on mutual respect." Dr. Rahmouna Farez joined the Medical College of Wisconsin as an Assistant Professor in the Department of Obstetrics and Gynecology in October 2013. Dr. Farez received her Doctor of Medicine degree from Albany Medical College in 2007. She then completed her obstetrics and gynecology residency in 2011 at Tufts Medical Center in Boston where she served as an Administrative Chief Resident. She received the Outstanding Chief Resident Clinician Award and the Society of Laproendoscopic Surgeons Resident Achievement Award in 2011. Dr. Farez most recently was awarded the Resident Teaching Award at MetroWest Medical Center in Framingham, Massachusetts. Dr. Farez offers a complete spectrum of care in general obstetrics and gynecology with an area of interest in family planning and contraception, and minimally invasive surgery. Dr. Farez divides her time between her clinical practice and teaching residents and medical students. Dr. Farez enjoys spending time with her family exploring Milwaukee and surrounding areas. 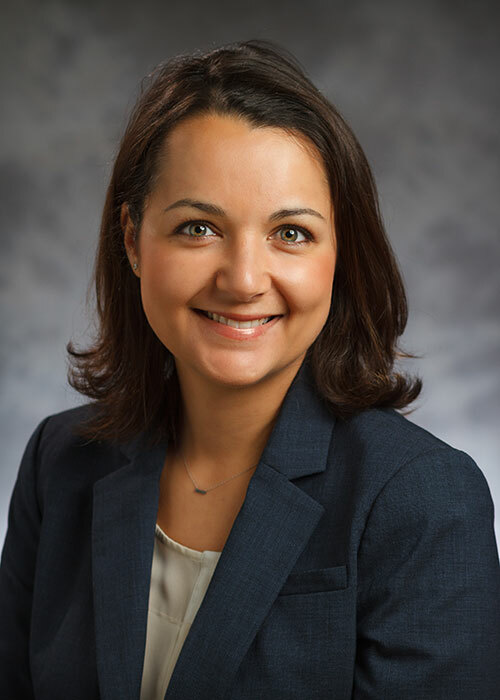 Rahmouna L. Farez, M.S., M.D., has been appointed to Assistant Professor of Obstetrics and Gynecology in the division of General Obstetrics and Gynecology, at the Medical College of Wisconsin and to the medical staffs at Froedtert Hospital and Children’s Hospital of Wisconsin.